Lorrie Kane (back left) will be among the panelists at a women's leadership summit during the CP Women's Open. 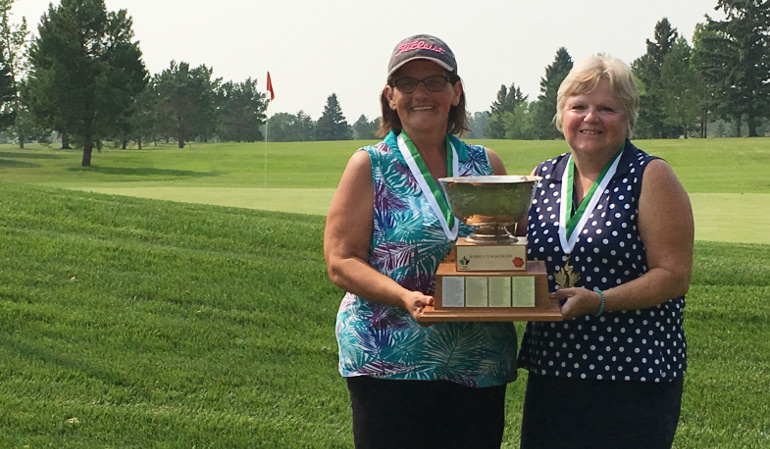 An inaugural event focused on empowering women in the workplace that will coincide with the CP Women’s Open is nearing a sell out. The event will take place at Hotel Saskatchewan in Regina on Aug. 21. The LPGA tournament is taking place from Aug. 20 to 26 at the Wascana Country Club. 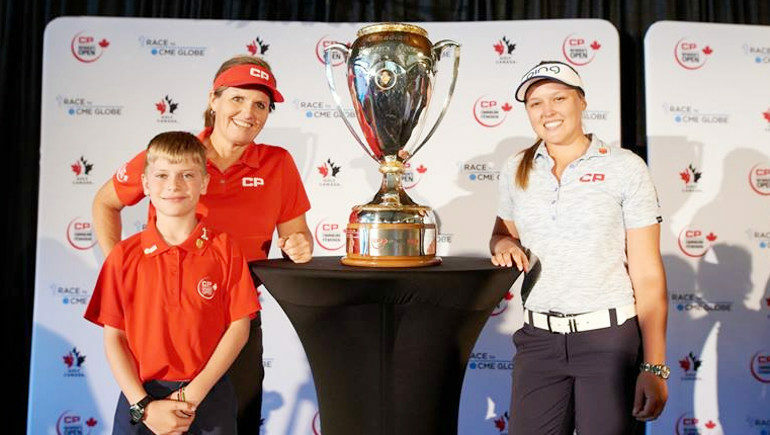 Golf Canada assistant tournament director, Mary Beth McKenna said the idea of the summit is to use the sport to enhance diversification both on and off the course. Saskatchewan product Hayley Wickenheiser will be the keynote speaker at the event. From Shaunavon, Wickenheiser is one of the most decorated Canadian Olympians in history winning four gold medals and a silver playing for the national women’s hockey team. McKenna said the hockey star is a perfect fit for the summit. “We are thrilled that she has come on board. She is going to give a lot of great insights into her career path. Not in the business world but there is a lot of key correlations, things she has dealt with and gone through in a male dominated sport and being a pioneer in the women’s game,” McKenna said. The summit features more than just sport stars, the panel of guests varies across the board. Sportsnet’s Evanka Osmak will be the host, she has a degree in engineering to go along with a sparkling broadcasting career. RBC brand marketing senior director Shannon Cole; vice president of sales and marketing, grain and fertilizer for CP Joan Hardy; general manager at adidas Golf Canada Lesley Hawkins; LPGA professional Lorrie Kane; and Dr. Andrea Lavoie, an interventional cardiologist with the Saskatchewan Health Authority will join the panel. McKenna said the group has been well received since the event was announced. “The response has been incredible. I think everyone is excited for this inaugural event. Our table sales have been going well, there is still a few available but people are really excited to see this diverse group of speakers,” she said. A portion of the proceeds of the event will benefit the CP Has a Heart initiative. For more details and to purchase tickets visit the CP Women’s Open website. You can hear more McKenna who spoke with Golf Saskatchewan’s Clark Stork on Thursday.